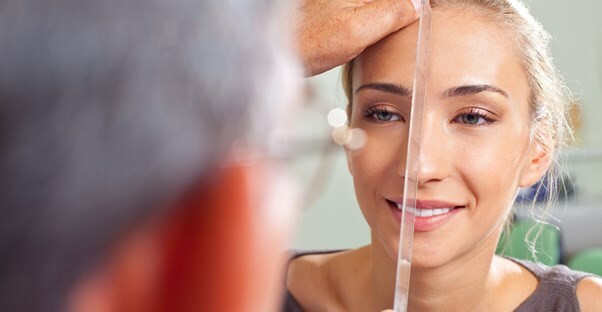 People generally choose to get rhinoplasty, which is also known as a nose job, because they want to improve their appearance and enhance their confidence. However, like any surgical procedure, it's not something to take lightly. Most people are happy with their decision, but it's not necessarily the right choice for everyone. Here are five questions to ask yourself before going under the scalpel. Why do you want rhinoplasty? Improving your self-confidence and appearance are fine reasons to get rhinoplasty. However, if you think it's going to favorably alter every aspect of your life, you're setting yourself up for disappointment. It's not a solution to a struggling relationship, not getting job promotions or an unsatisfactory social life. It also won't turn you into your favorite celebrity. The effort involved in receiving a rhinoplasty procedure is an intense one. You have to find a reputable surgeon, decide how you want the result to look, and spend time recovering. These are not simple matters, and they will take up a lot of your time and energy. For this reason, ask yourself whether you should be making this decision now. If your life is currently very hectic or if you're going through a lot of emotional duress, it's best to wait until you can dedicate yourself and make decisions with a clear head. Like all cosmetic surgeries, rhinoplasty is not cheap, especially if it's a more complex procedure. It's important to sit down and decide if you can really afford it. It's never wise to place an undue financial burden on yourself just to enhance the way you look, and impulsiveness will only haunt you later. Do you have a strong support system? Recovering from rhinoplasty surgery will be an uncomfortable experience that can last several weeks. This means that you're going to need the emotional support of your loved ones while you're healing. This cannot be understated. The last thing you need when you're bandaged, sore, and bruised is someone berating you for your decision or demanding that you exert yourself. Have you found a good surgeon? The surgeon you choose can make all the difference in the outcome of your procedure. You want to find someone who is certified to do the work, does it on a routine basis, and can provide patient references and images of his or her previous work. You should should also feel comfortable around your prospective surgeon. If anything seems suspicious to you, find someone else who meets your expectations.